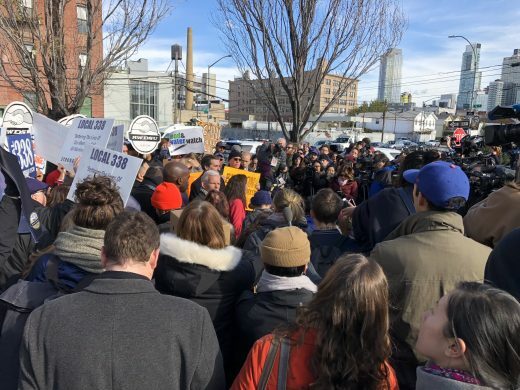 Gianaris was speaking to a crowd of roughly 150 New Yorkers earlier today in Long Island City’s Gordan Triangle. 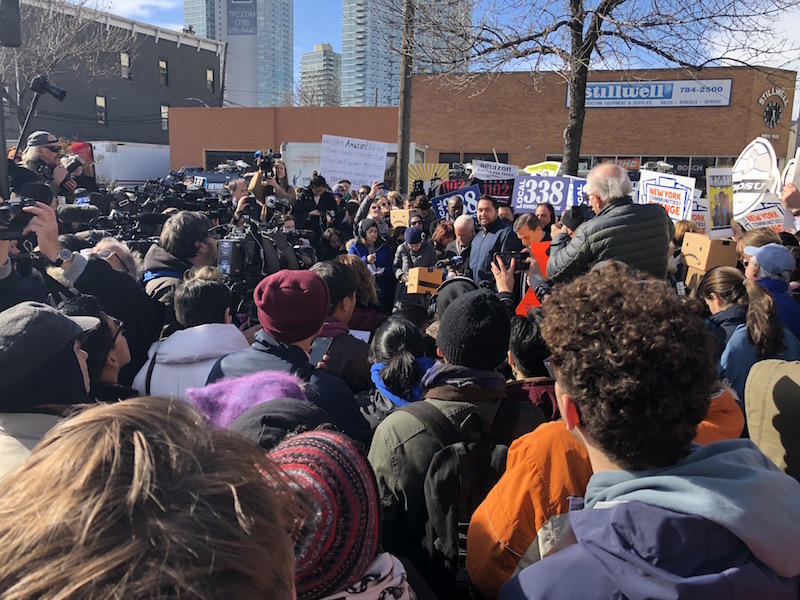 Under a bright blue sky and amid near-freezing temperatures, Gianaris was one of a long roster of politicians, activists, and labor leaders who had assembled to speak out against the new Amazon headquarters in Long Island City. Gianaris and Van Bremer, center. One of those colleagues was Stephen T. Levin of Brooklyn. “We need a better deal,” said Levin. 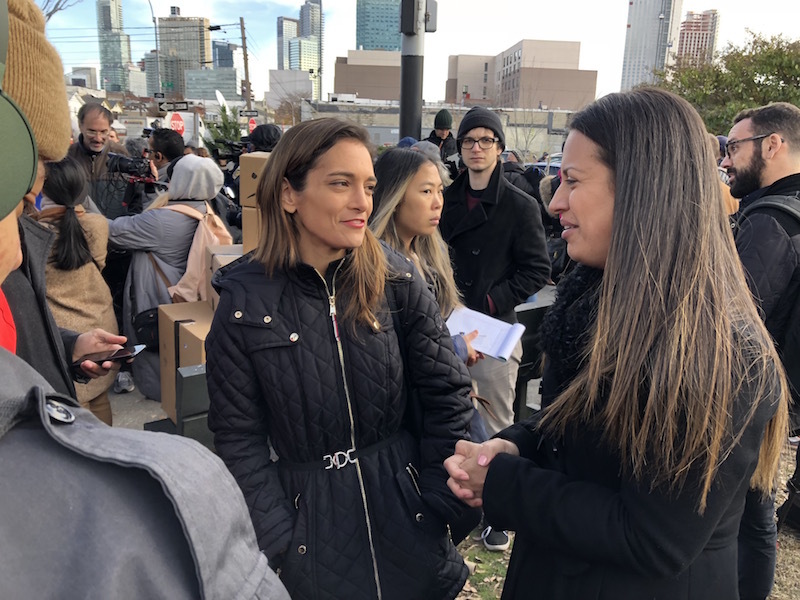 “In the neighborhoods that I represent—right over the Pulaski Bridge, in Williamsburg and Greenpoint—every single day, I have somebody come into my office from one of those communities who’s losing their apartment because the landlords are jacking up the rent. Cuomo and de Blasio’s joint announcement Tuesday came about a week after the plan started leaking to the press. It followed a high-profile search for “HQ2,” a second headquarters to be built somewhere in America. 238 cities applied for the honor. Her complaint was a common one. 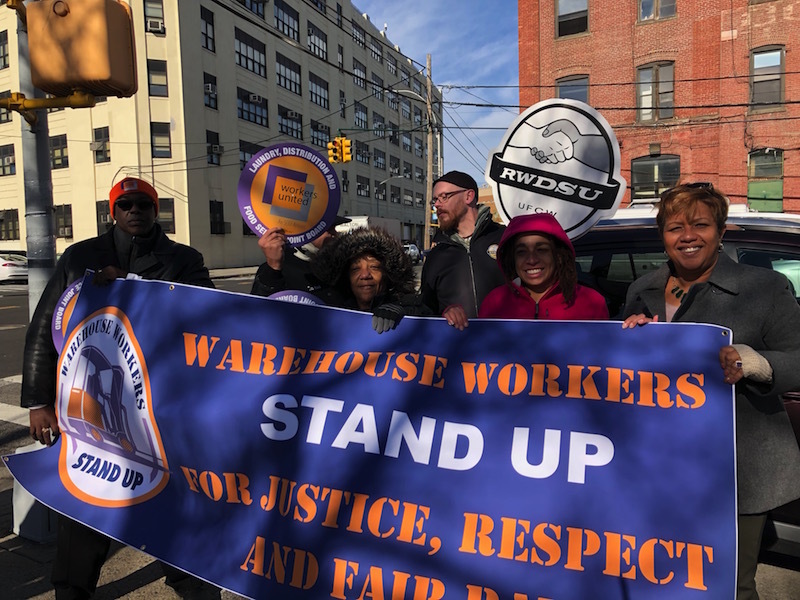 “You should engage more people in the conversation before you make these kind of deals,” said Albert Arroyo of Warehouse Workers Stand Up. With or without community input, the anticipated real estate boom may already be here. StreetEasy searches for LIC apartments are up about 300% since the word got out, and brokers are apparently selling units to buyers via text without ever actually showing said units. 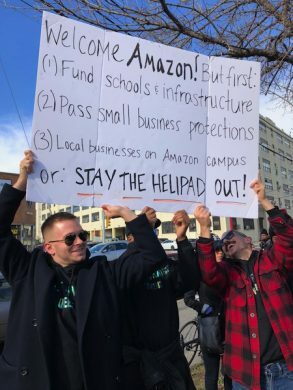 And in case you were wondering, no, Amazon will not pay a little extra in taxes if affordable housing declines and homelessness increases as a result of their outsized footprint. Jim Dillon, a 40-year LIC resident who lives in a rent-stabilized apartment, carried the lone physical sign of counter-protest. 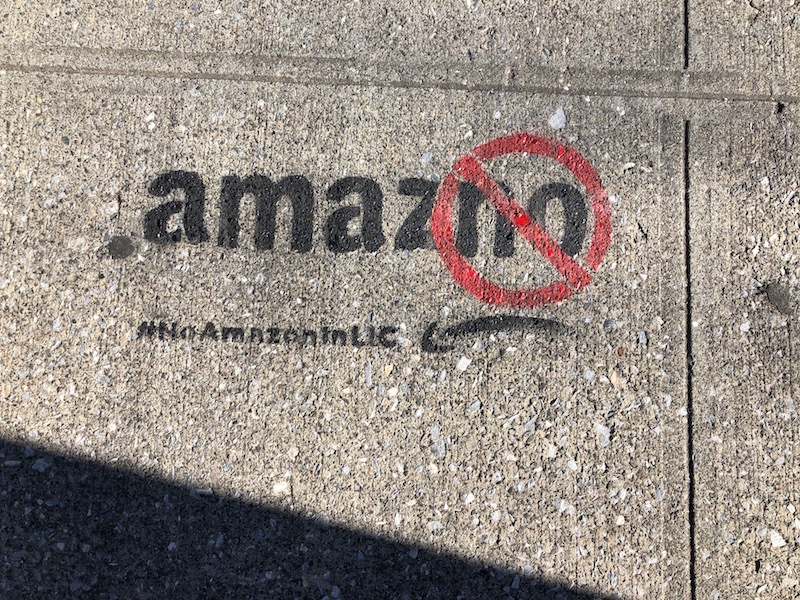 “Welcome Amazon!” it read. Dillon seemed unconvinced that the company would bring nearly as many new employees as it has promised, and was therefore skeptical about the impact the move would have. Here’s one thing Jeff Bezos might like to know about his new tech hub: in between interviews, I stood on the outskirts of the assembled crowd and looked down at my phone. I had no service.